There use to be a moment when plus-size women had problem looking for the right dress or even fitting. At times you get the right size but the design doesn't suit you, or even the materials. Being a plus-size, normally one would really look at being able to fit into one nicely, be able to feel confident in it, design and colours is also very important. Well now you can have all that at Mis Claire. 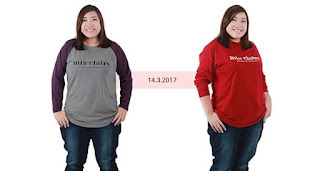 An online boutique and their latest collection is their Mis Claire Tee Shirt. Made out of a very comfortable material which is not hot plus its stretchable. And when you wear one, you will feel pretty and confident all over. Their collections are always limited edition. They will only re-print if the demand is there but otherwise it will be an edition. 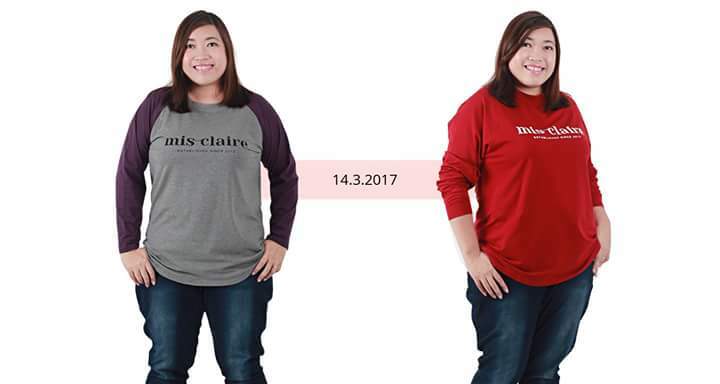 Mis Claire Plus-size Tee-Shirt is about RM 49.00 per piece. Have you tried it? Visit them on their social media for more information. Mis Claire, established since 2012, is now entering their 5th year in the plus size fashion industry. They are giving themselves a 'facelift' - a company rebranding whereby they will expand their products to have more variety, in terms of styles, cuts and colors, for plus-sized women. 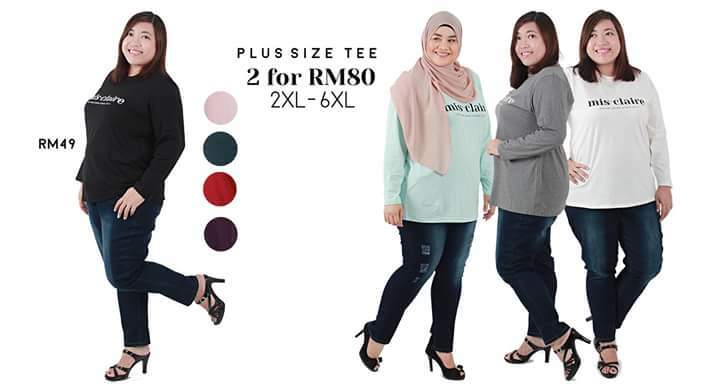 Mis Claire is now stream-lined and directed towards producing high-quality and affordable products, ranging from wardrobe staples, such as basic shirts, jeans, work pants, blazers, to seasonal or focused collections such as sportswear, Muslimah fashion or festive-wear for celebrations. Mis Claire started off as an online boutique, creating an easy and fuss-free method of shopping for women from the comfort of their own gadgets, while offering not only local shipping but international as well. In line with the rebranding, Mis Claire has also re-launched their show room especially for women who still prefer the physical touch of conventional shopping. Mis Claire understand the needs of plus size women. Gone are the days when plus size clothings are hard-to-find, ill-fitting, of low quality or just plain unfashionable. Mis Claire strives to produce simple and classic styles, with cuts and fits specially considered fo those with a larger figure - yet at the same time, practical and functional for every day wear.